Meet Evan, active U.S. Army First Sergeant and Branch Manager in Derry, NH. Evan was 30 when he enlisted as a Carpentry and Masonry Specialist for the Corps of Engineers in the US Army Reserve, shortly after the invasion of Iraq. 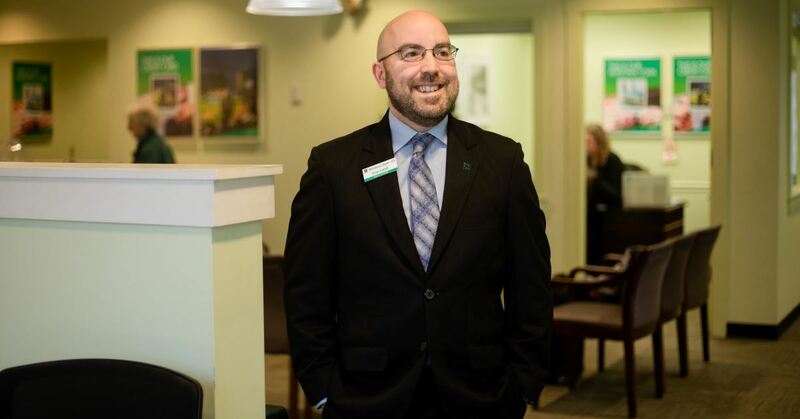 After serving two tours — one in Afghanistan and the other in Kuwait — Evan joined Citizens Bank in 2012 as a Branch Manager in our Derry, NH branch. Now an active First Sergeant responsible for an Army Unit, Evan is tasked with balancing his role as manager and the duties that come with being an active service member. We sat down with Evan to ask him more about his time in the Army, how he manages his dual responsibilities, and what advice he has for other service members in similar situations. I understand you are currently serving in the Army. How are you able to juggle your role at Citizens and your home life with the prospect of being called back to active duty? It’s a tough balance, especially as the acting First Sergeant for my unit. A lot of the success comes from developing and then relying on others to help me lead, as well as ensuring my duties and tasks are organized so I know where I have to focus my efforts. I find I have to set limits to help meet the needs of everyone. I usually do Army work one evening a week, barring an additional need that comes up. When I’m away for training or even a deployment, I know that I can count on my Assistant Manager to cover the branch and that the staff and customers will continue to thrive. We have a great culture here at Citizens Bank of cross-training which ensures the strength and success of everyone. Do you find you use skills or experience from your time serving in your role at Citizens? If so, what are they? Absolutely! 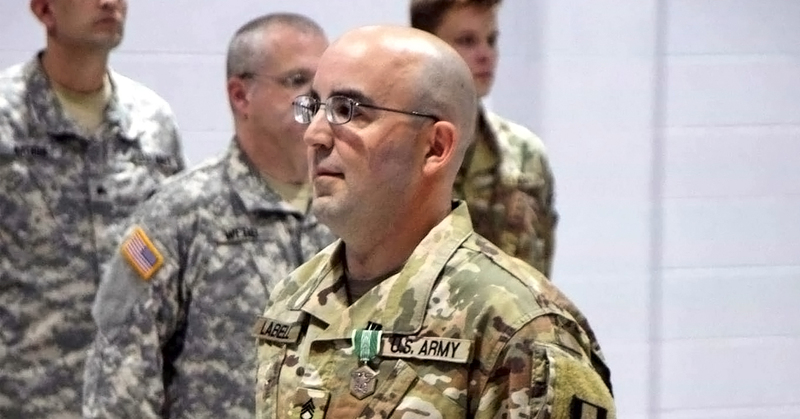 As a non-commissioned officer, I developed much of my leadership skills while supporting the goals and needs of my unit and developing junior soldiers. That experience translated perfectly to the bank. Has Citizens Bank been able to support you in any capacity when you are called to duty? Citizens has been extremely supportive of my service. They have assisted me during my monthly drill weekends, additional trainings that occasionally come up and even my deployment several years back. During my 13-month tour in Kuwait, my Regional Manager and Market Manager maintained my employment and held my position open at the branch the entire time. It was above and beyond what was expected and I am extremely grateful for their support. They both received a Patriot Award for their commitment! What advice would you give to other service members who are trying to balance their service with jobs, family and other responsibilities? It only works with support from everyone — work and family alike. You have to make sure everyone is onboard and be transparent with how it may affect those around you. You must also understand and be ready for the pressures that are inevitably put on your colleagues, family and friends. I would also suggest joining a Veteran’s network, like the Veterans Business Resource Group at Citizens. It’s a great way to connect to other like-minded former service members who you can relate to and share experiences with. For me, it’s just about the family time. Whether it’s playing chess with my kids (who are getting better than me! ), exercise, small day trips, our worship life, work around the house, or even helping my wife with our homeschooling, we are always busy. I really try to take advantage of meaningful time with the family as a whole and with each of the kids and my wife individually. Learn more about other remarkable colleagues like Evan to see if a role with Citizens may be right for you.